PowerPoint-driven digital signage? Most people are surprised when I suggest PowerPoint as an easy method for the development and management of digital signage. As you know, a simple but powerful, method to grab the attention of anyone, anywhere, is to use a screen. TV, computer or mobile screens are great attention grabbers, and most people would admit it’s hard to stop staring at them each day. A lot of the time, of course, you’re seeing digital signage on those screens, especially at fast food restaurants, airports, corporate lobbies, schools and hospitals. PowerPoint-driven digital signage, for example, tells you which flights are arriving, which foods are available on the menu or special offers in the grocery store. 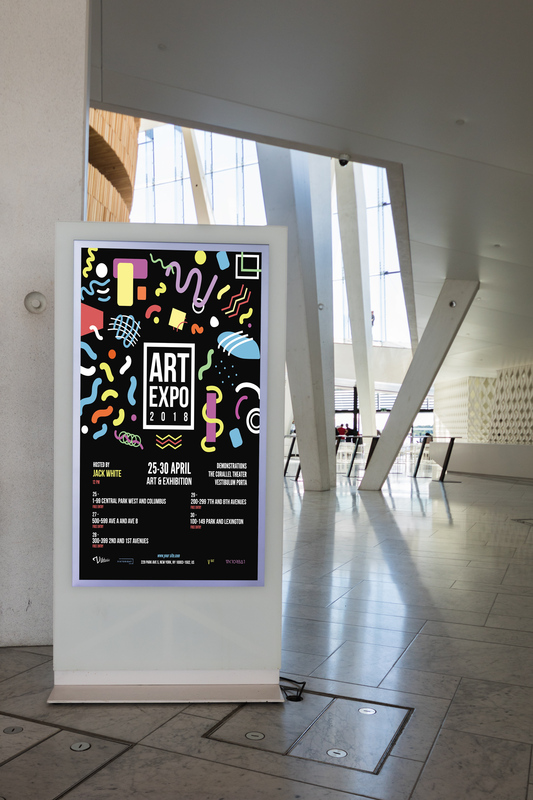 With screens just about everywhere in our lives today, digital signage provides the perfect way for businesses or public agencies to engage with their customers or constituents. With this in mind, why is PowerPoint an effective tool for creating digital signage? The fact is it’s flat out easy to create digital signage using PowerPoint. Everything you need is available in this venerable, proven application. No more need to haggle with Adobe and Photoshop for your digital signage needs. To this end, here are seven reasons why PowerPoint is a dynamic tool you can use to create powerful digital signage content. If you have a computer, you’ve probably used (or at least know of) PowerPoint. 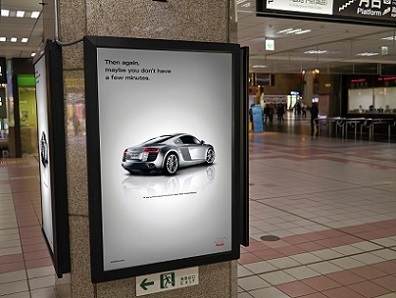 Its features are straightforward, and it takes little time to start creating eye-catching digital signage. With PowerPoint, you can start creating digital signage using templates for hospitals, hotels, schools and a wide range of other sectors. Using PowerPoint slide templates is just as effective as creating new ones. Just as it’s easy to create compelling content and appealing PowerPoint digital signage, it’s simple to change anything you want and update with new information. One feature that makes PowerPoint a powerful tool for digital signage is its built-in transition and animation functions. You can animate text and images and play videos. People love animation, and PowerPoint provides great attention grabbers. Transitions also add a creative side to your digital signage presentations, keeping users interested in what you need to communicate. For operations personnel at airports, flight and critical travel information change constantly and needs continuous updating with new arrival schedules or take-offs. One master slide is all you need after creating your digital signage: the new information or data can be automatically updated, with new data from Excel, RSS feeds, databases and more. Using PresentationPoint’s DataPoint, for example, acting as a PowerPoint add-on module, real-time data is updated, and automatically appears on all screens. All your data signage stays up to date. Any changes you make are quick and prompt. Suppose you have multiple digital signage screens in different locations in the same shop or spanning several business areas. With PresentationPoint software and PowerPoint, you can create playlists for different digital signage display. The digital signage in various screens or locations is remotely controllable and can run on any schedule you set. If the digital signage in the morning is showing a video of hardware tools, you can create a program that will start displaying a video of groceries during the afternoon. When you create digital signage, PowerPoint will display it on a monitor or television screen of any size. With our software, you can even spread out a single presentation over multiple screens of a video wall setup. Ultimately, you can radically enhance how you distribute your information when you use PowerPoint – coupled with our DataPoint module – for digital signage. Digital signage, to be sure, is the best way to showcase new business or public information of all kinds. All you need to get started is a screen, a computer and PowerPoint – and you’re on your way.